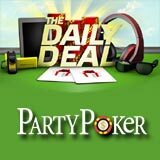 The Party Poker Daily Deal promotion runs for the entire month of March, players can win daily gifts which include: Sports Bags, Camcorders, sunglasses and much more. 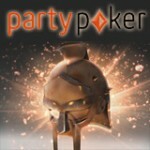 The PartyPoker promo offers players the chance to win a Kindle for FREE everyday! Players can also win tournament tickets to the daily $2,000 March Freeroll and play for extra cash prizes. 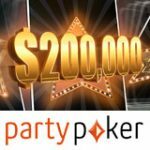 Win a prize everyday in March by logging into your account for the Party Poker Daily Deal promo, players can win additional prizes by earning the required amount of points for your loyalty level. All new players begin on Bronze level and can collect all the prizes along the way as they increase in Loyalty Levels. 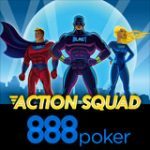 For additional random prizes players must continue earning the required amount of points for their Party Poker loyalty level, players can earn an unlimited amount of prizes everyday. 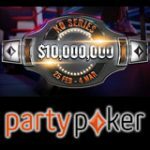 The $2,000 March Freeroll tournament runs daily during throughout the month and is restricted to players who have won tournament tickets in the Party Poker Daily Deal. 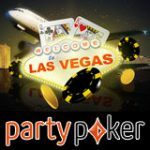 Players who win Party Poker Bonuses or FastForward Poker cash game vouchers as prizes will have to complete the wagering requirement eg: $2 bonus or voucher requires a minimum of 2 Party Points earned before it can be withdrawn. 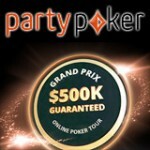 PartyPoker 2013 WSOP Satellites are underway offering a unique opportunity to win a Main Event prize package for Free!